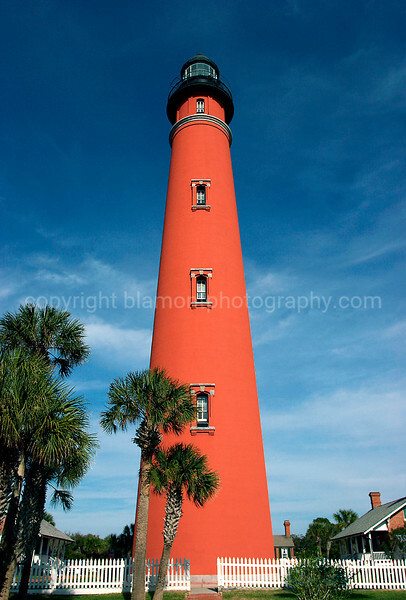 Ponce Inlet Lighthouse, S. Daytona Beach, Fl. I have made a few prints of this shot on Cotton Rag (Epson Velvet Fine Art Paper)...they are awsome! Like a Painting. This image is of a very high contrast which does not come across when printed on a cotton media... I encourage my customers to choose a cotton print media for all of my Images...of course as we all know, Art is subjective as well as the cost. I always say you only get what you pay for...2 each der own... Each print media gives different final print results for the Customers style needs and budget.